Ever notice that words semi related to each other are vastly different? For instance, the dictionary tells us that “should” is the past tense of “shall”- how is that possible? To me, there are huge differences between these two words. The word “should” expresses possibility: “I should go to the gym.” The word “shall” on the other hand is more definitive: “I shall go to the gym”. One word is about a possible hope and the other is about definitive action. If you really want something there shall be action to make it a reality. To me, the word “shall” is much more powerful than “should”. 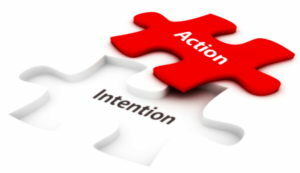 “Should” is something that could possibly happen but might not if there is no action. “Shall” on the other hand is something that will happen. Changing “shoulds” into “shalls” is similar to setting a goal- you have to take action in order to make it happen. What possibility of yours is most important to you and what steps can you take to make it happen? Referencing my “I shall go to the gym” example, some folks book exercise classes in advance or plan to work out with a friend. Having the action already in place makes you more accountable and likely to change from “I should” to “I shall go to the gym”. How many times do you hear the would “should” during your work week? How many “shoulds” have you turned into action steps? Next time you hear the word, remember this post. Leave a little marker in your mind and turn that “should” into a “shall”. So, what shall you do this weekend? The possibilities are endless.